City Explorer brings the best of Liverpool to you at an unbeatable price. Visit 14 iconic stops and learn about the city’s culture and history with a live guide on every bus. There really is no better way to discover the city. For the LFC superfan, simmilar to our City Explorer tour, we allow us to take you on a ride on one of our open top busses and see the many historical sights and stories surrounding this amazing Football Club from a live guide as well as taking a Stadium Tour and see the home of the five time European Champions! 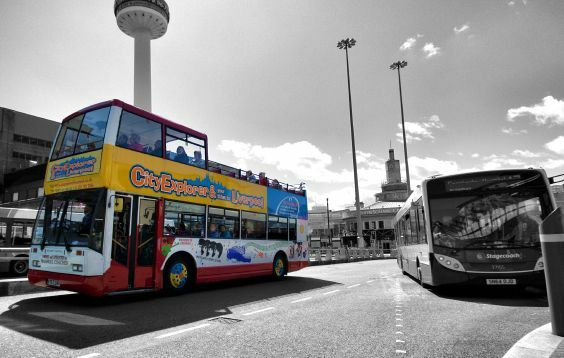 The LFC City Explorer brings the best of Liverpool to you at an unbeatable price and has been carefully designed to take in parts of the city centre and the best view in the Whole of Merseyside whilst on your way to Anfield dropping you off outside the World Famous Anfield Kop. One of the biggest state of the art trampoline parks in Europe with activities for all of the family, featuring wall to wall trampolines, basketball hoops with extra spring loaded action, or try out a game of fast paced dodgeball in one of the exclusive courts. Velocity also offers great value and tons of fun parties, offering a variety of packages to suit a range of budgets, in addition to fitness classes that will revolutionise your workout and have you burning calories long after the session has finished. Velocity currently has 2 branches, one in Widnes & Wigan with a third branch due to open in Speke at the end of 2017. Liverpool and the surrounding area is complete with activities for the whole family, both in terms of educational and entertaining. Click here to check out some of the best things to do in the city, including a knowledge-seeking trip to a museum.